I like Skype, I really do, but for some reason it seems every time I go to use it I have some small problem with it. Recently I was trying to call my mom (I really needed to call my mom) and it would ring once and then end the call before anyone picked up. Now I tried to explain that to my mother… but I’m not sure she was buying it. So now I find out about a new free calling service, one that seems a bit more user friendly, and a bit more integrated with today’s Smartphone usage. Welcome indoona, a new free calling service that lets you message, video chat and voice call other indoona users all over the world, all for free, using your wifi or 3g connections. indoona actually imports your phone book and even automatically lets you know which people on your list are online and able to participate in free calling all in real time. AT&T has just announced another tablet that will join their product line up, and the honor falls to the Sony Tablet P this time around. 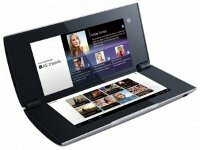 The Sony Tablet P is a dual screen, multi-functional tablet which is perfect for mobile communication and entertainment (Sony says so anyways), and it will hit the market from March 4th onwards. This is a 4G capable tablet, so you can expect amazingly fast connection speeds whenever you are under the right network connection. The asking price for the Sony Tablet P? It will retail for $399.99 a pop, where it will be accompanied by a two-year service agreement. One thing is for sure – the new Sony Tablet P is definitely a looker. Sporting an unprecedented dual-screen layout (anyone else think that this is the natural progression of the Nintendo DS? ), the Sony Tablet P sports a couple of 5.5″ that can be used for different functions, including playing a game on one display while the other functions as a controller, or perhaps checking email on one with the other functioning as a keyboard. 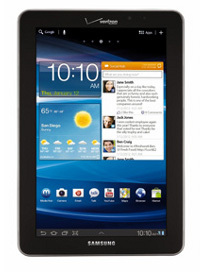 The Samsung Galaxy Tab 7.7 was announced to the world earlier this year at CES in Las Vegas last month, and while everyone else was waiting for a release date to be announced, along comes Verizon Wireless who are more than happy to say that the highly anticipated tablet will be hitting their stores from tomorrow onwards – virtual or otherwise. Yes sir, you now have another tablet to consider if you have yet to jump aboard the tablet bandwagon. 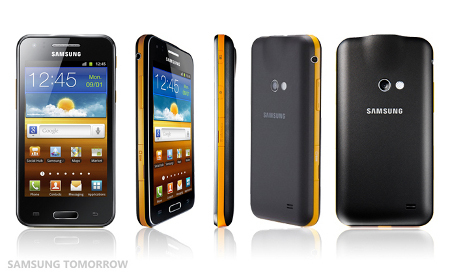 Just what kind of niche does the Samsung Galaxy Tab 7.7 occupy? We do know that most tablets these days come in a rather large 10.1″ or 9.7″ display size, while the initial run of tablets came in a 7″ size for a fair number of manufacturers. I guess along the way, bigger became better, but there is also a realization that size is not everything, which is most probably why Samsung has come up with the Galaxy Tab 7.7 instead. Lovatics “Kissenger” – Kiss me you Pig! Ah the long distance relationship. Most of us have tried them, not all of us have succeeded. I guess the romantic notion still stands, “absence makes the heart grow fonder”, or was that “out of sight out of mind”? Hey wait a minute here, there’s a big difference there, but our next gadget is sure to help ease the pain of your long distance romance. Welcome Kissenger, no not the politician, the robotic pig… made of silicon and equipped with some soft and smooch-able lips, Kissenger is designed to work in tandem with his long distance pig partner enabling 2 long distance human lovers to engage in an Internet make out session, via the pigs. Weird right? But lets just admit it, its not the first time any of us have kissed a pig, am I right? Read moreLovatics “Kissenger” – Kiss me you Pig! Hey Dude, Give Me some Skin! Of all the new developments I read about, I get excited about medical technology the most. I have a pretty good grasp as to what things used to be like as I have spent a great deal of time studying medical history, it was pretty darn scary back in the day. I have to wonder what our future generations will think of us someday, when they look back at some of our “advances”. Because right now, I have to say, I am pretty darn impressed. Check out this new “spray gun” capable of aerosolizing (is that a word?) a patients own skin cells in a water based solution, allowing it to simply be sprayed over burned skin and thereby significantly reducing recovery time for the burn victim. In stark contrast to a skin graft, this Skin Cell Gun allows considerably speedier healing. While it might be considered graphic, don’t miss the video after the break. Read moreHey Dude, Give Me some Skin! Remember those portable pico projectors that one thought would be all the rage when they were released some time back? Sad to say, those devices remained a niche device, and never really took off in terms of popularity. Battery life proved to be the major stumbling block, not to mention the resolution count of such projectors. Well, Nikon did come up with the idea of incorporating a projector into a digital camera, and here Samsung has innovated further by throwing in the innards of a pico projector into that of a smartphone, calling it the Samsung Galaxy Beam. How apt, considering it “beams” out whatever you want to view onto a (preferably) flat display for maximum clarity. Of course, I do have my concern for the battery life in such a device, as we all know that pico projectors do sap up a whole lot of juice in the shortest time possible. Let us take a closer look at the Galaxy Beam in the extended post.